When a couple lives together it now means that their individual tastes and styles need to blend together to make that living space comfortable and something that makes them both happy. Literally coming with your own baggage after living alone all these years or with a roommate, you would have definitely collected your own stuff. It is now to look through that stuff and decide what you want to keep and what you can live without. It may be best to consider which items, such as furniture and appliances, will belong perfectly together in your new lovers apartment. And begin searching for the items that you still need but will fit both tastes. With individual touches and simple lines with clean finishes, this modern lover's apartment will be nothing short of perfection! 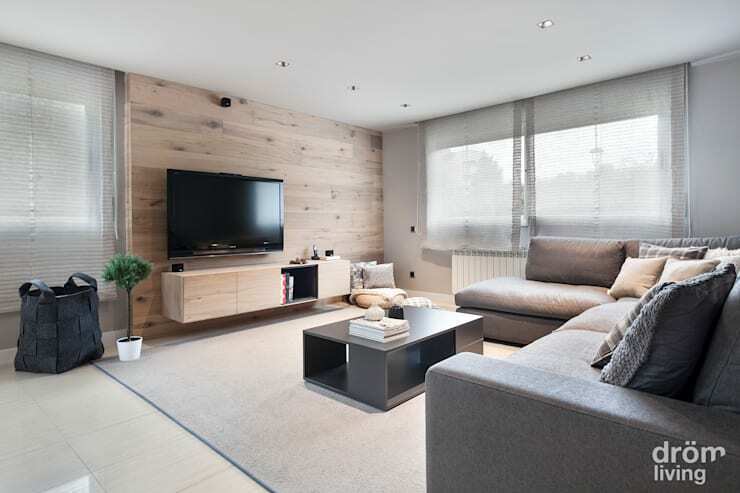 This functional living room is bright and airy, the neutral tones and use of natural materials creates a soft ambience that is both elegance and pleasing to the eye with no harsh undertones. The cool use of colour in the comfortable sofas will allow for optimal TV time or cuddle time, depending on the mood. While the large TV in the middle of the room is perfectly placed. This room makes use of the size available for seating areas quite well, with the addition of L-shaped sofa for maximum comfort and relaxation while at the same time including mountains of soft scatter pillows to complete the room. The receded lights are simple and classic without being overbearing and taking up to much space, this makes the home a fun and entertaining space for all social ocassions. The bedroom is a private space, a place of intimacy and love. And while a feminine touch may be necessary in this space, it does not have to overbearing or floral. The feminine touch can really be subtle with neutral tones that will allow the male partner to still have his masculinity. A bedroom is also a room which serves to showcase the personality of the owner or inhabitants, this means that the ultimate goal is to create a stylish and fantastic sleeping area that meets the needs of both partners. This wonderfully decorated and designed bedroom space in the image is the perfect mix of masculine and feminine tones with darker and lighter hues working well together in the bed linen. While the natural exposed wood of the floor and the headboard are matching, allowing for the space to look larger. The warm earthy tone of the walls just adds a bit more luxury and style, making this room come together quite nicely. 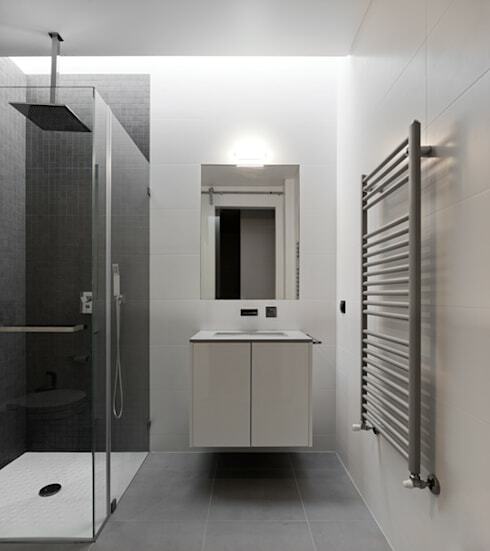 This bathroom is modern and stylish with clean and simple lines visible throughout exudes masculinity through the use of white, grey and charcoal tones. The contemporary shower will ensure a good rinse getting you ready for that day at work or after that hectic workout. The uncluttered approach of the simple vanity beneath the sink means that all products can be safely stored away without being in the line of sight, while the atmosphere remains bright and well illuminated through the use of lighting that complements the bathroom. Intrigued to see more of the home that this bathroom appears in? Check it out: Concrete Wonder. A female bathroom is much more than a place to get clean, it is a place for escape and relaxation, which is why two bathrooms are necessarily better than just one when a couple move in together. Sometimes all you need is that space for yourself… a place to be pamper and just enjoy the steam or soak up the suds in a luxury bathtub. 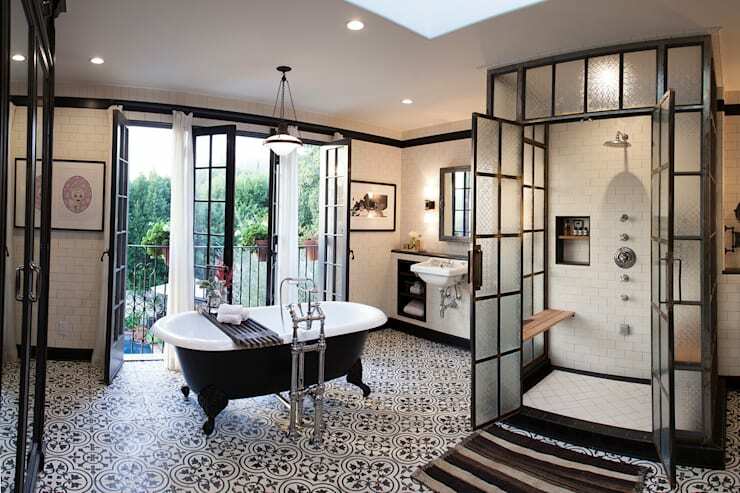 This vintage inspired black and white bathroom has all the makings of old-world France, but with modern additions such as steam room type shower and beautiful bath. The large French doors open up to a beautiful view allowing for ventilation and natural sunlight. While the light fixtures adds to the rustic experience. For more from the designers at Drummonds have a look at their professional profile. A kitchen is the perfect space to enjoy each others company, especially during those cooking sessions together before supper and during the morning while setting up for a breakfast experience that is set to be excellent… especially if you wake up to a magnificent marble kitchen such as this. This cooking space has all the makings of a gourmet experience, but with the fantastic elements of being a pleasure to be a part of as well. The modern appliances are all perfectly placed with sleek silver being the chosen colour. 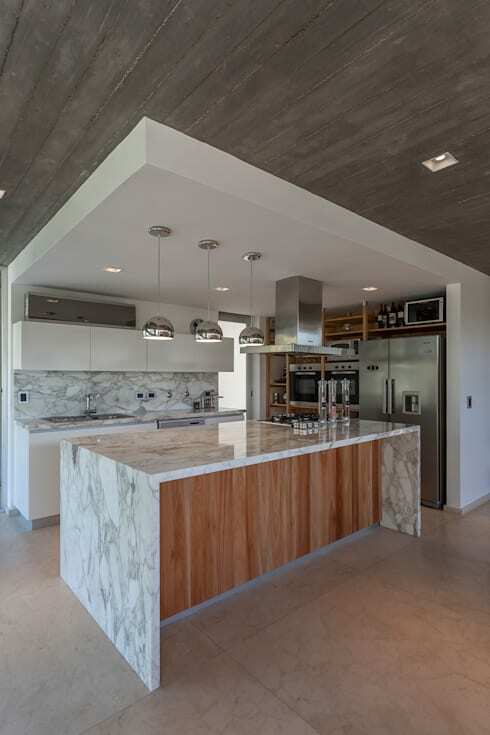 While natural elements such as marble and wood complete the designer effect. And with a cooking island such as this that doubles up as a countertop and eating area, who wouldn't want to wake up and smell the coffee? 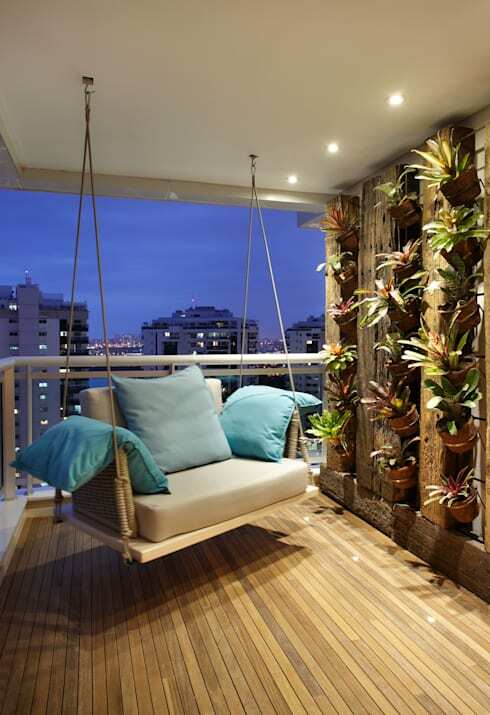 A balcony doesn't have to be that neglected space of your modern apartment. It has an outstanding amount of potential to be elegant, charming and altogether perfect. With stunning views being the first part of your balcony experience, make it an escape from the busy working world. If necessary band all shop talk between you and your partner from this space and make it a place to bond and be with each other. This love seat is comfortable and relaxing to just swing in, while also being the the perfect place to just enjoy each others company or be solitary once a week with a good book, add a vertical garden and you have your own little slice of paradise! True perfection! Now to enjoy the sights and sounds of your home. What other essentials would you include in your lover's apartment? Share with us in the comments!